Mandell Newmark enlisted in the army in February of 1943, at the age of 20. He was killed in action April 15, 1945. 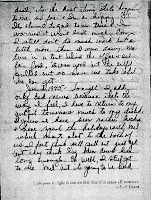 The following entries come from his war journal, and describe an aberration in his service - two months of leave with his brother Melvin, on the Indonesian island of Biak, off the coast of New Guinea. 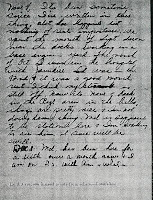 Scans of the journal entries appear at the bottom of the post. Nov 4, It’s been sometime since I’ve written in this thing. A lot has happened but nothing of real importance. We spent the month of September down near the docks working in a base engine yard. The month of October I was in the hospital with jaundice. I was in the 92nd and it was a good month rest. I think my stomach is still off. Now it’s November and back in the [Reg?] area in the hills. Things are pretty nice and I’m not doing [a damn?] thing. Mel is supposed to be stationed here and I’m waiting to see him. It sure will be swell. Dec 8 – Mel has been here for a little over a month now and I am on DS with him and what a deal, it’s the best thing that’s happened to me so far and I’m a happy GI. Its almost too good to be true and I’m worried it won’t last much longer. I still don’t do much work but a little more than I was doing. We live in a tent behind the office and eat fair food, it was good but the outfit pulled out so now we take what we can get. Jan 2, 1945 – Tonight I add only bad news because that’s the way I feel. I have to return to my outfit tomorrow much to my dislike. I guess I have been rather lucky and have spent the holidays with Mel which meant a lot to the both of us. I don’t think we’ll pull out just yet but they think I’ve been down here long enough. Oh well, I still got to see Mel, but it’s going to be bad at first being separated. My only wish for this year is the end of this war so that my two brothers and myself may return home safe and sound.